One of my favorite things about Disneyland is how it has so many restaurants dedicated to different cuisines. This means you aren’t stuck eating hot dogs when you visit (even if that’s all your kids want to eat!). Instead, you can find nearly any kind of food you want, sit down at a restaurant, and enjoy a nice family meal. 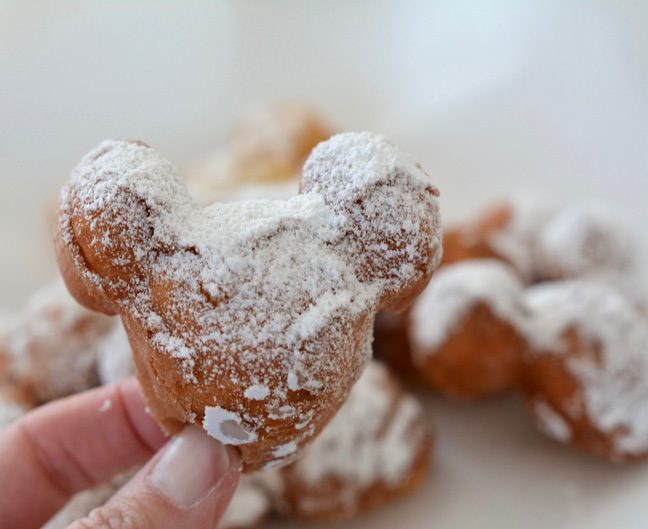 The last time I visited, I got to try the beignets they serve at Cafe Orleans and Blue Bayou. I still dream about them daily— I adore beignets and just know that I will make a beeline to get some the second we arrive on our next visit. 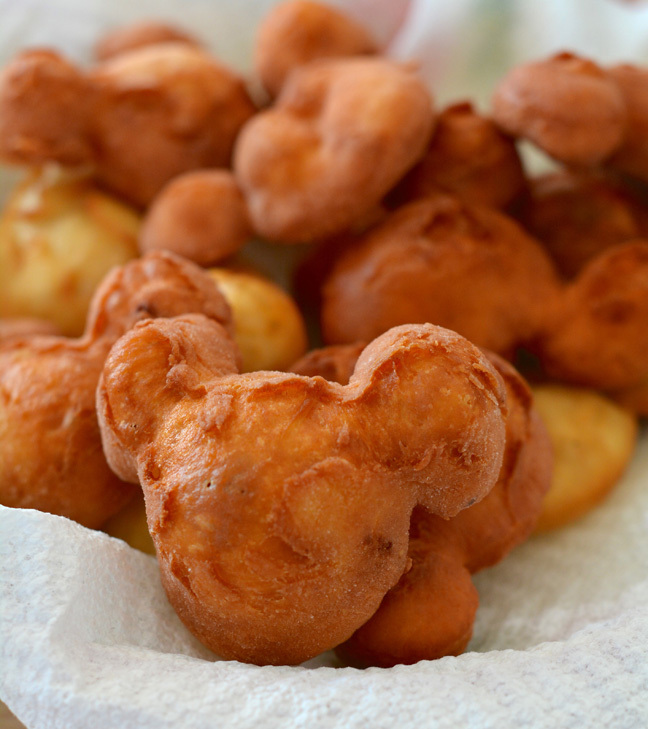 Until my next visit, I’m getting my homemade fix by making my own Mickey Mouse beignets at home. It is actually much easier than you think! The key is starting off with a Mickey Mouse cookie cutter. If you don’t have one don’t sweat it—they are pretty easy to come by, or you can just use a sharp knife to carve out Mickey ears. After that it is a matter of mixing up the simple batter, frying up the beignets, and diving in! It still isn’t quite the same as sitting at Cafe Orleans with my family, but it is definitely the next best thing. This is how I get my Cafe Orleans fix at home. Step 1: Put all of the ingredients into a large bowl and mix well with a wooden spoon. 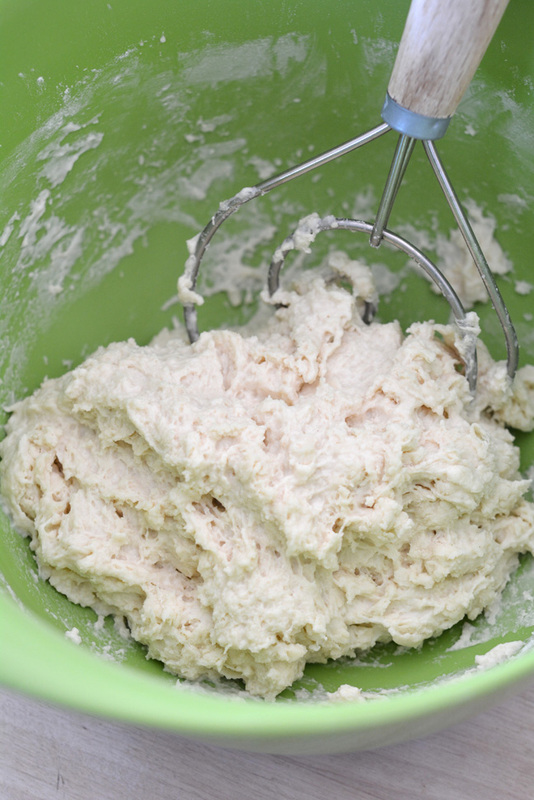 Once the dough comes together, place it in a lightly oiled mixing bowl and cover with a kitchen towel. Allow it to rise for about 1 hour, or until it has doubled in size and is puffy. Carefully punch it down and cover it again, and place it in the refrigerator for one night. Step 2: The next morning, flour a work surface and move the dough onto it. Roll it out to a large 10 x 14 rectangle. 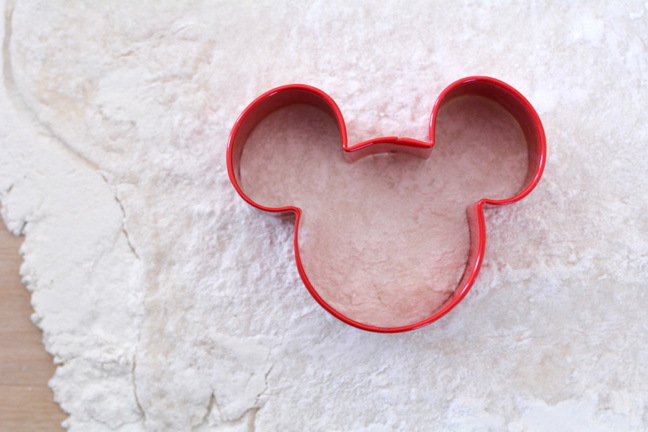 Use the Mickey Mouse cookie cutter to cut shapes out of the dough. Re-roll the dough and cut as needed until all the dough is used up. Step 3: Add vegetable oil to a heavy bottom pan until it is about 1 inch deep. 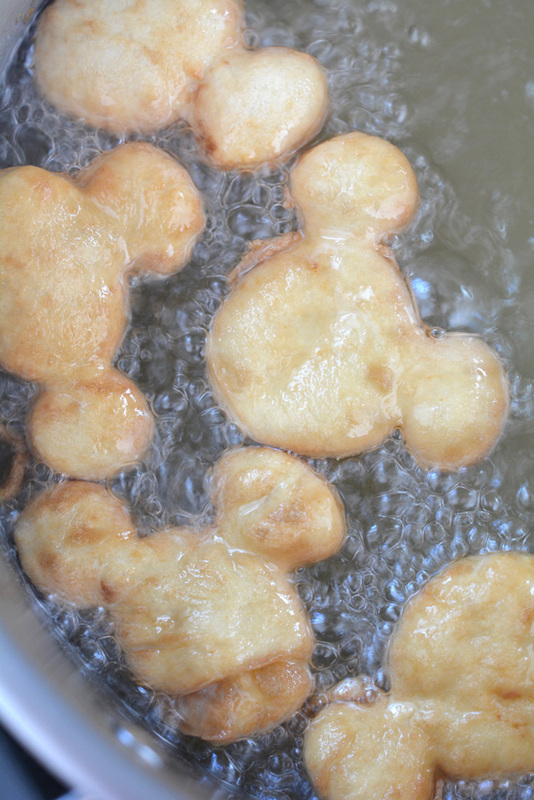 Heat it to 360 degrees F. Drop about 6 pieces of dough into the pan and cook the beignets for about 1 minute per side. They should appear puffy and golden all over. Remove the cooked beignets to a tray covered with a paper towel to drain. Repeat again. 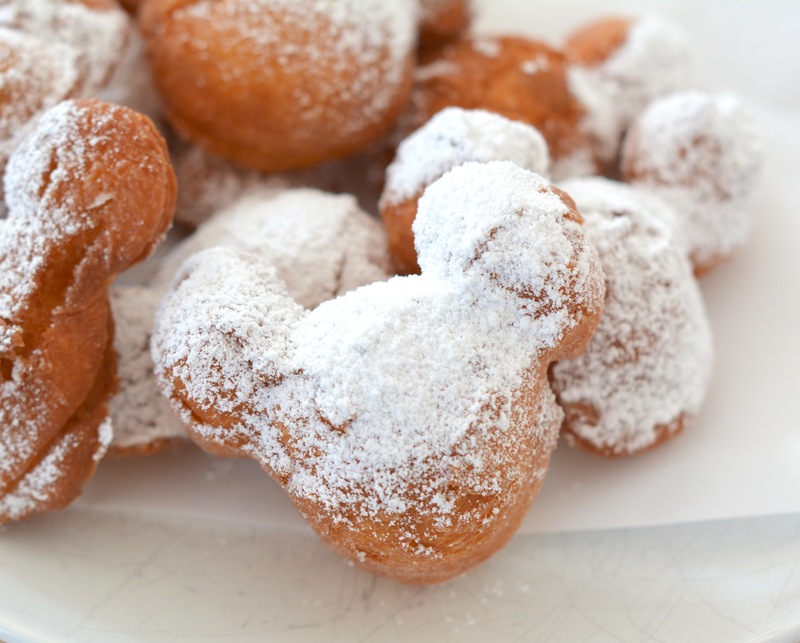 Step 4: Dust the cookie beignets with confectioner's sugar and enjoy!